If you know me at all in person, you would know that music is a big deal in my life. I decided to give try making my own list of recommended songs every once in a while and hope to find readers and bloggers who have a similar taste! This first playlist is going to be quite simple and you'll probably all recognise the artists on this list, but in the future I promise to include some new artists that I, personally, have discovered. So what is my definition of an autumn playlist? For me, the whole atmosphere of autumn is super warm, rich and welcoming. I chose to make a playlist of calm and rich (if you can describe music like that) songs that I personally would love to listen to while cuddling in a knit blanket, reading a book and burning some amazingly scented candle in the background. 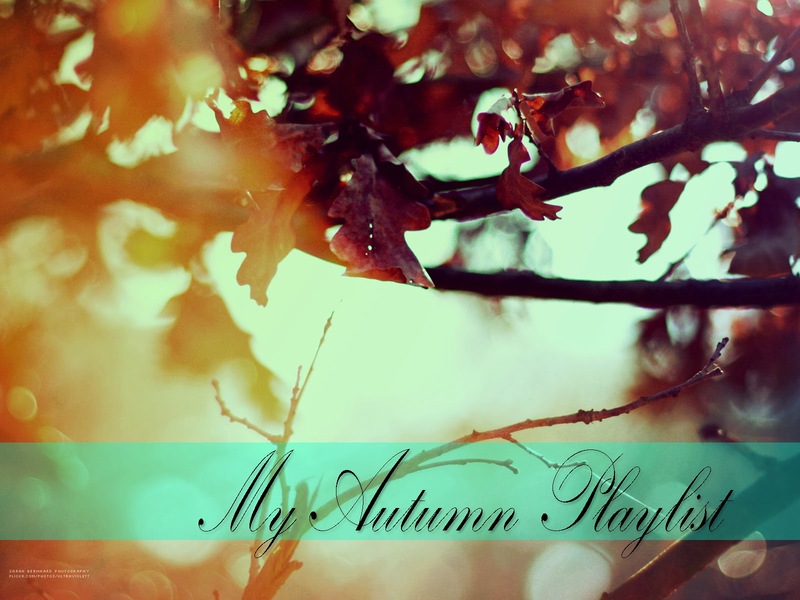 So without further ado, I present to you my autumn playlist! I am so sorry for all of you who were looking forward to a September Favourites post! I have 4 labs, a math test, and philosophy assignment, a chem quiz and a French presentation all next week before our long weekend! I promise that it will be out next week though!